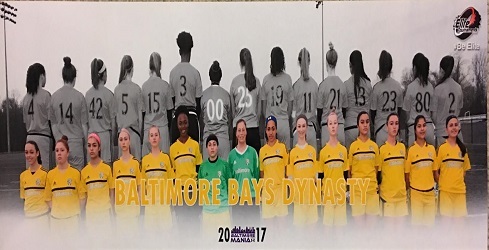 The Baltimore Bays Dynasty 99 girls reached the 2017 Baltimore Mania Final. The Dynasty Girls reached the final by winning their bracket with 2 wins and a draw. In the final the girls dropped a close game 3-2 to the Next Level Girls 99 out of NJ.